Albert L. Ordean, president of the First National bank and the Stone-Ordean-Wells company and one of the conspicuous figures in the financial field of the Northwest, died at 11 o’clock this morning at the family home, 2307 East Superior street, after an illness that confined him to his bed since last April. The funeral will probably take place Monday afternoon. A pioneer in Duluth, founder of the Merchant’s National bank, shortly after he came to this city in 1882, head of the present First National bank since its reorganization in 1895, organizer of the original Stone-Wells Mercantile company, now one of the leading wholesale grocery firms in the West, Mr. Ordean’s passing takes from Duluth what is regarded by many as her leading financier. Prominent citizens and public officials all paid tribute to his long life of service and devotion to this city. Only a few years ago it was reported that he declined the honor of becoming the head of one of the leading banks in New York city, largely because of his confidence in Duluth and deep affection for the city and his associates of almost half a century. It was James J. Hill, empire builder of the West, who held Mr. Ordean in the highest regard and whom he once declared to be ‘one of the greatest bankers in the Northwest.” There was always a deep friendship between the two and it was quite natural that Mr. Ordean became a director of the Great Northern railroad, which position he held at the time of his death. His position and long acquaintance with Mr. Hill gave him an intimate knowledge of the railroad and its extensive properties that proved invaluable to the executives. He had also been closely associated with Louis W. Hill, chairman of the board, for many years. Mr. Ordean was born Aug. 22, 1856, at New Brighton, PA., his parents moving to Ohio, when he was a boy, and where he began employment in a bank, which was to become his life work. After working up to a responsible position, he went West, engaging in the banking business at Leadville and Kokomo, Colo. In 1882 he came to Duluth. He is survived by Mrs. Ordean, who was at his bedside when the end came this morning. There are no other immediate relatives. A story is told that in 1879 Mr. Ordean carried $50,000 in currency on his person from Denver to Leadville, none of the express companies being willing to take the risk of transporting currency, because of the continual stagecoach holdups in that region. The banks in which Mr. Ordean was interested needed cash immediately and he made the trip, traveling by stage by day and sleeping at night with half a dozen strangers in various stopping places, most of them in one large room. There were no hotels in that country in the ‘70s and to lie down with men he had never seen in a large room, any one of whom would stop at nothing for part of a $50,000 loot, took unusual courage. Duluthians who knew Mr. Ordean for the last forty-six years, never suspected that this quiet man rode and lived on the hard mountain trails and went through the experience of the pioneers of that great region. In 1882 he sold his banking interests in Colorado and decided to move to a field that offered a more definite future. He decided upon the Head of the Lakes, coming to Duluth that year and beginning an active business life in this city that made him one of the most distinguished citizens of Duluth an outstanding financial leader in the Northwest. 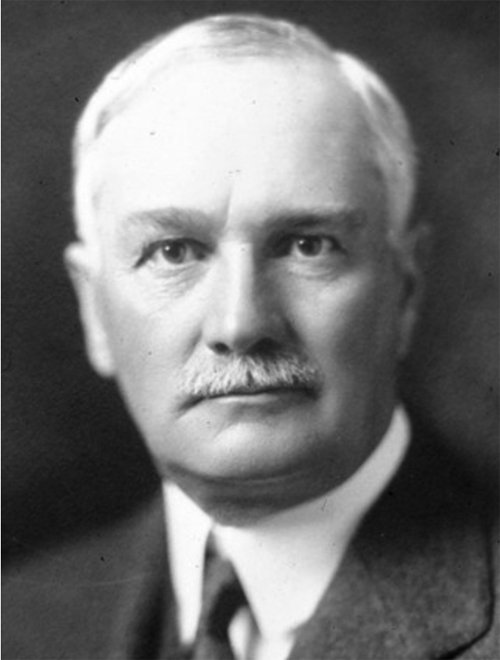 His name is most familiar in the Northwest because of his participation on the directorate of the Great Northern and First National bank of St. Paul and as head of the Stone-Ordean-Wells company, now considered one of the largest wholesale grocery houses in this region, with branches in Minneapolis, three in North Dakota ad four in Montana. He was also interested in lumber operations in Idaho, Washington and Oregon. A few years after he became president of the Merchants’ National bank, Mr. Ordean effected a consolidation with the Union National bank, under the name of First National bank, serving as head of the reorganized institution up to his death. In October, 1907, Mr. Ordean became a great financial figure through his operations with Mr. Hill in the panic period that followed the failing of the Knickerbocker Trust company and other New York banks. A fund of $4,000.000 was placed in his hands to help untangle the grain and railroad business and through his efforts conditions in the Northwest were made normal in a short time. Mr. Ordean’s home is one of the most beautiful in the city, overlooking Lake Superior at Twenty-third avenue east. He also maintained a winter home at Pasadena. Mr. Ordean was a member of the Chamber of Commerce, Kitchi Gammi club, Northland Country club, Winneboujou club at Brule and the Minnesota club at St. Paul. He took an active interest in the Children’s home from its founding, serving on the advisory committee for many years and was one of its most generous contributors. He was also on the advisory committee of the Community. During the World War Mr. Ordean took a leading part in the Liberty loan and other drives conducted by the government to finance the conflict.